Join INSA for a Leadership Dinner with General Paul Nakasone, Commander, U.S. Cyber Command (USCYBERCOM); Director, National Security Agency (NSA); and Chief, Central Security Service, at the Ritz-Carlton Tysons Corner on Thursday, August 9, 2018. 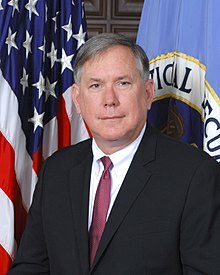 The evening will feature remarks from General Nakasone regarding the significance of elevating USCYBERCOM to full combatant command status, the unique roles of NSA and USCYBERCOM and their respective workforces in protecting our nation. He will also address the synergy among NSA, USCYBERCOM, and the rest of the intelligence and national security communities, and the evolution of intelligence in the digital age. Following dinner, General Nakasone will expand on his prepared remarks in a conversation with moderator Richard Ledgett, former NSA deputy director, which will include questions from the audience. The skills and agility of the NSA/CSS/USCYBERCOM workforce and the challenges to its sustainment.